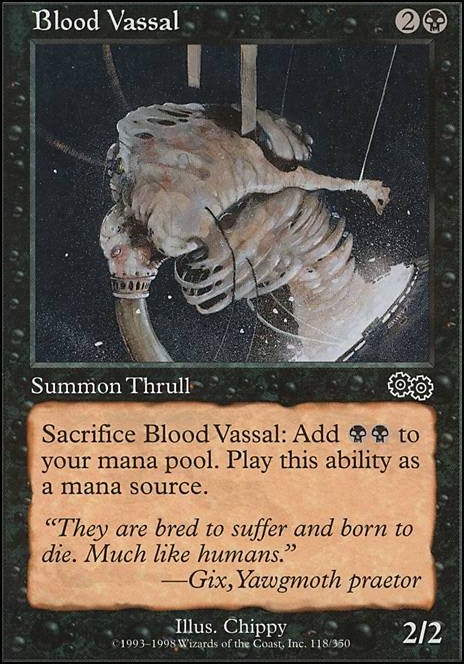 Sacrifice Blood Vassal: Add to your mana pool. 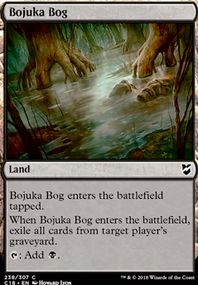 You could switch Growing Rites of Itlimoc Flip for Zendikar Resurgent. You should also consider running Fecundity. You sac a lot of creatures, and drawing cards off this would speed your deck up. I've mentioned this before, but I feel its worth repeating. Izoni, Thousand-Eyed is a nice card, but has its drawbacks. The major drawback I see is her high CMC, which is 6. So let's say even if you are hitting ramp every turn to start the game, then you're looking at a turn 4 cast, most likely. If you really ramp hard, let's say turn one, Land drop and Sol Ring, done. Turn 2, Land drop, Dork, tap Sol Ring for let's say Ashnod's Altar. So you'd have two dorks, two lands, Sol Ring and Altar after two awesome turns to start turn three. I think hitting this kind of setup consistently will be difficult to do. 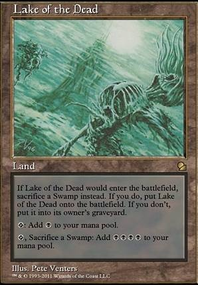 And then there's the fact that you likely don't have anything in the graveyard to make Izoni worth casting yet, if your goal is utilizing the Undergrowth mechanic. And then, you likely want to use the Undergrowth mechanic more often throughout the game, and hopefully scaling it with the game, giving you more tokens each time you cast her. But the next cast is 8 CMC, then 10 CMC, and so on with Commander tax. Its a tough sell. Or, you build up the graveyard and hope for one big haul on her first casting, and then go from there, dredging and pitching and sacrificing creatures to the bin in order to get a good ROI. This makes her more situational than anything, and do you want your Commander to be situational, or the centerpiece of what your deck does? What I think you should consider is focusing more on her second ability, which is card draw and sac outlet on a stick. Focus that with the Aristocrats strategy, and worry about Undergrowth as a secondary measure. Cards like Mycoloth will work great with this, and another peach you could consider running is Deranged Hermit. He'll give you four squirrels each time he hits the board, which is more fodder for the Aristocrats and for Izoni. Verdant Force, Tendershoot Dryad, and Verdant Embrace all generate more tokens for your saccing pleasure. An Elvish Piper can help you in the mid to late game when you start trying to bounce Izoni with Temur Sabertooth or Erratic Portal. Get rid of Demonlord Belzenlok. Exiling your cards is not what you want to do with Izoni. Loyal Guardian is kind of meh, so I'd drop it for something that better fits what you want to do. I think I'd ditch Necrotic Ooze for something more consistent, like Murder or Go for the Throat, or Naturalize for artifact/enchantment removal. Burnished Hart and Tortured Existence would be good additions to make. Tortured Existence basically allows you to turn your graveyard into a toolbox. Brawn is a creature you want to put into your graveyard, along with a card like Filth if you can find ways to abuse it (Urborg, Tomb of Yawgmoth, Blanket of Night, even Mystic Compass). 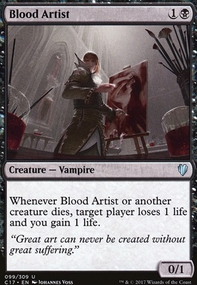 I think I would personally run fewer cards like Cultivate and Overgrowth for more mana dorks, like Blood Pet and Blood Vassal, who work well with your graveyard theme, and Birds of Paradise and even Elves of Deep Shadow. These mana dorks help your curve out with early drops, and they can be sac fodder down the road if you need it. 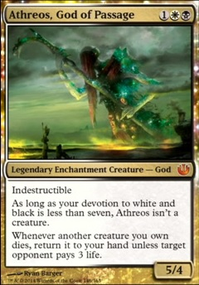 Good cards for sacrifice decks include Dictate of Erebos and Grave Pact. A card like Fecundity provides even more card draw. I agree with ZendikariWol. You should be running a pretty balanced mana curve with Meren. 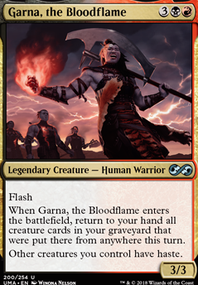 Try running a slew of mana dorks to go along with Llanowar Elves, and the two I mentioned, Blood Pet and Blood Vassal. You should be ramping enough to get Meren on the table by turn 2 or 3, and then get the sac engine going. Burning an Elf at Ashnod's Altar after you've tapped it for mana with Meren out means you've ramped and sacced to Meren, earning a counter, and then you return the Elf to the battlefield at the end of the turn, and the engine is started on turn 2 or 3. Also, run Burnished Hart. If you're running Sakura-Tribe Elder and Yavimaya Elder, then run Burnished Hart, too. Looking at your list, it just doesn't look like you have enough sac outlets. If you have access to Ashnod's Altar and Phyrexian Altar, put them both in. You need them, plain and simple. Yahenni, Undying Partisan and Carrion Feeder are other decent sac outlets, and Evolutionary Leap would be a perfect card for this deck. If you have access to cards like Fauna Shaman or the better version, Survival of the Fittest, those are essentially a two-card tutor in a Meren deck, and I think they function better for this deck than Tooth and Nail. T&N is a great green card, but it doesn't have to be shoe-horned into every green deck. Even a card like Whisper, Blood Liturgist can give you value in this deck, returning a much needed mana dork or other low CMC card to your board, and letting Meren pick something more useful. Hopefully, this helps you out, and gets the deck running smoothly. I get wanting to run more creatures, but in the end, its better to run the creatures you need, and have the sac outlets to make the deck run. To that end, I don't run cards like Cultivate in my Meren build, but would rather run something like the Yavimaya Elder that you already run, or its artifact buddy, Burnished Hart. They have built-in sac abilities, add experience counters for Meren, and accelerate your mana. Two other good mana dorks I run in Meren are Blood Pet and Blood Vassal. I like them because I can sac them the turn they come into play for mana, and don't have to worry about being able to tap them, like Llanowar Elves. Rune-Scarred Demon is a good tutor, but I really like Sidisi, Undead Vizier as a tutor in this deck. She can exploit herself, turning into the card you need and adding an experience counter, and likely getting her back at the end of the turn to tutor all over again. In my build, I tend not to run a lot of the more traditional recursion, like Disentomb or Victimize. This is a personal approach, as the commander, who I usually have access to, provides plenty of recursion on her own. But, that's just my approach. If you find it useful, then stick with it, but you might make it more of a focus, adding cards like Necromancy, Animate Dead, and Dance of the Dead. bushido_man96 on Help with a Kresh Deck? If you are looking for some budget options on creatures that go to the graveyard themselves, Burnished Hart would be another good option. Black has some nice mana critters like Blood Vassal and the smaller Blood Pet that can sac themselves. Cards with the Evoke mechanic could also be helpful for you, like Shriekmaw. Using cards with Echo is a good idea, so might look at creatures with Fading or Vanishing as well (Skyshroud Behemoth comes to mind as an example). Jarad, Golgari Lich Lord might give you some good synergy in putting creatures in the graveyard and doing extra damage with them. Sac outlets like Ashnod's Altar and Phyrexian Ghoul will help get critters to the graveyard, and a Butcher of Malakir will make other players sac their creatures along with them, increasing the counters you can throw on Kresh. I've never played with him before, but there looks like lots of potential there, and lots of options. Some cards that recur themselves like Endless Cockroaches (although the three black might be tough to pull off), Reassembling Skeleton, and Sanitarium Skeleton offer some consistent although small recursion. 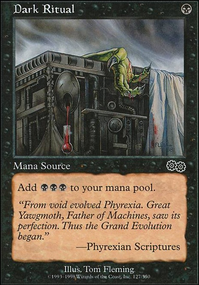 Other good recursion options include Phyrexian Reclamation, No Rest for the Wicked, Haunted Crossroads, Palace Siege, and Oversold Cemetery can make sure you creatures keep coming back to sacrifice again. I hope that helps out. He looks like a fun Commander to run with. bushido_man96 Thank you for the suggestions. I thought about the Yavimaya Elder, but I decided to remove him in lieu of ETB effects. However, I am not against some test playing with him to determine how well he fits with the deck. In regard with Blood Pet and Blood Vassal, I will definitely add them to my acquire board and test play with them as well. I like the idea of adding value with triggers and ramp, especially since Meren gets hated out the game fairly quickly. NV_1980 Thank you as well for the suggestion. I do already have Hermit Druid in the deck. However, I will definitely add Life from the Loam and maybe Harvester of Souls to the deck. I like the added synergy of milling myself and getting Life from any card draw trigger. Unfortunately, the playgroup at the LGS doesn't have a ban on infect cards, so Winding Constrictor may very well be detrimental to me in the long run. Otherwise, great suggestion.